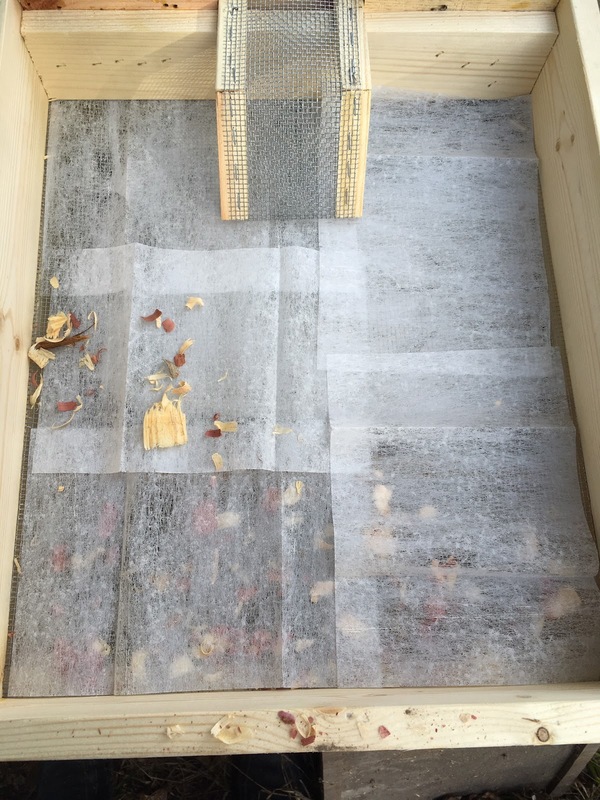 My last preparations before winter: #8 hardware cloth lined with dryer-sheets and covered with cedar chips. 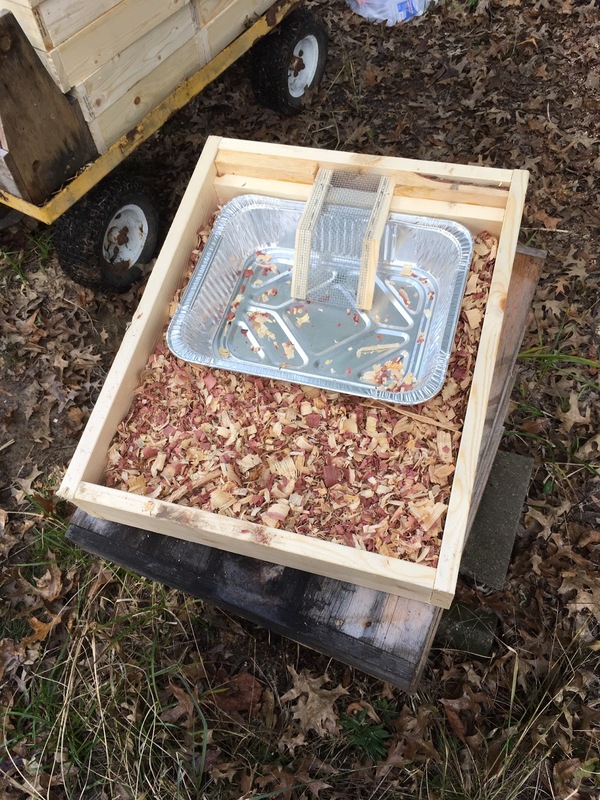 The whole feeder cost roughly $6 to build and fill. However, I believe it will prove brilliant on all fronts. The dryer sheets should catch the beetles – the cedar should deter moths – and both should insulate the hive, while wicking away moister. I also placed a Fat Bee Man corrugated sign trap in each hive, as well as a swiffer sheet and beetle buster trap on the top bars. That’s every trick in my bag. After having the temperature dip into the 20’s I thought I might have waited too late to winterize my hives. Luckily, I was blessed by God with a nice warm 67 degree day. Noah was working so I asked my 13-year-old nephew, Zane to help me out. He was a huge help and I wouldn’t have gotten done without him. 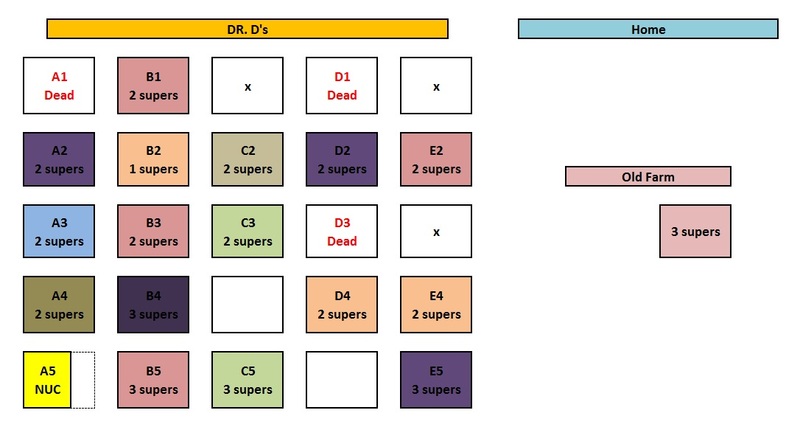 We staged all of the feeders and traps on top of each hive to minimize the amount of time each hive would be left open. We then cleaned up the apiary and removed all the unused equipment – a full truckload (which might be part of my pest problem). Lastly, we began placing the feeders. The first hive I opened was dead and filled with wax moths. I felt sick. The second hive looked good but then the third hive was dead. I could have thrown up! With no other choice, I carried on. In the end, I lost three hives. Last month, when I extracted honey, I placed the empty supers back onto the hives in hopes that the bees would clean them and refill them. However, the flowers were all but gone and I think this gave the moths a window of opportunity. I think this was the cause of my losses. I started the year with 7 hives. 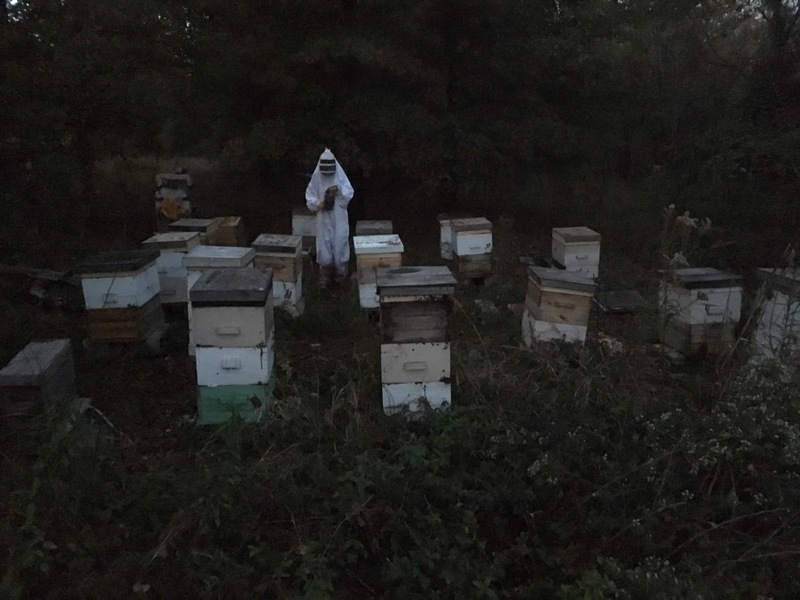 I made all successful splits and increased to 23 hives and 1 NUC – however, I lost a total of 6 hives in the past few months. Leaving me with 17 hives and 1 NUC. If God is willing and I don’t loss any hives over the winter, I should be able to divide 17 into 68 or possibly as many as 136 (that would be 4 successful exponential splits). My actual goal is 100 hives by the end of next season. So for the rest of the winter, I will be in the wood shop building hives. I’ll post on that as I progress. However, for now my bees are in God’s hands – I have done all I can do.